Home Unlabelled HAINAN Airlines Eyes Dar Es Salaam Route. HAINAN Airlines Eyes Dar Es Salaam Route. HAINAN Airlines of China has agreed to introduce direct flights to Dar es Salaam (Tanzania) from Beijing in a bid to boost business and tourism between the two countries. The decision was announced in Guangzhou by the airline's Chairman, Mr Chen Feng, following a request from Tanzania's Prime Minister Mizengo Pinda, who wanted the firm to look into the possibility of starting a Tanzanian route. Mr Cheng said that much as they are ready to start direct flights to Dar es Salaam, authorities should also ensure that the airport becomes a hub for all flights to China so that the country can benefit from the deal. He said that should Dar es Salaam become a hub from diverse states to China, it would mean that all flights from neighbouring countries would connect through the Julius Nyerere International Airport (JNIA). However, he said, to make it work the country needs to have a strong local national airline, with which they will work to ensure that the route benefits both parties. Moreover, he said, JNIA needs to be transformed into a state-of-the-art airport to cater for current and emerging needs. He offered his company's support for the expansion of the airport towards that end. "We have experts who can handle that, as we operate 16 airports, so if you incorporate us in the mission, be assured that you will have an airport that can handle all sorts of flights," said Mr Cheng. Mr Cheng said that Tanzania boasts of a good number of tourist attractions. He added that his company has been doing good business in the tourism industry, as they work with a tour company in China (Mainland) and Hong Kong. "We have the capacity to bring Chinese tourists to Tanzania, but for the time being we are looking into chances of investing in the hotel sector especially in the attractions areas," he said. Hainan Airlines is among the biggest airlines in the world with 470 flights flying in over 160 destinations. The prime minister said that Tanzania needs a boost in the aviation sector for its improved economies. Therefore, a direct flight will assist the business community in both parties. He said the direct flight will also be a blessing to Tanzania business community, the majority of whom do their purchases at the Guangzhou constituency, but has to make a number of connections. Mr Pinda said the national airline - Air Tanzania is in a bad shape. He called upon the Hainan Airlines to work out modalities which would see them work together. 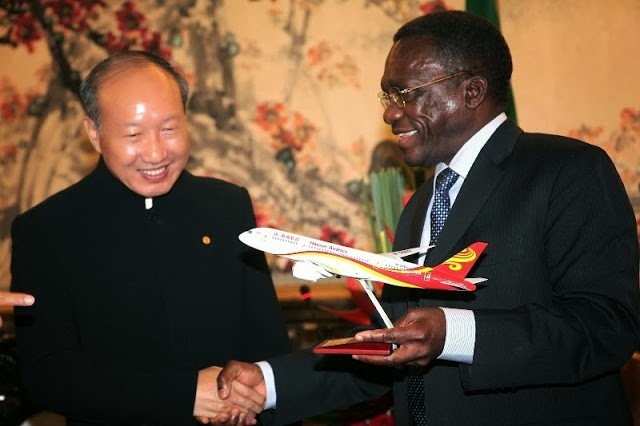 The Minister for Works, Dr Harrison Mwakyembe, said they will work out on the recommendation given by Hainan Airlines Chairman, so that at the end of the day they would be in a position to work together with one of the biggest airlines.